And while I have gotten much better at “shopping” from my stockpile and coming up with creative stockpile meals using the ingredients I have on hand, I still need to buy fresh produce. This may seem obvious, but sometimes we can get so caught up in shopping for a specific recipe or dish that we buy what we think we need, not what is on sale. Learn what is in season when and pay attention to the sale prices. 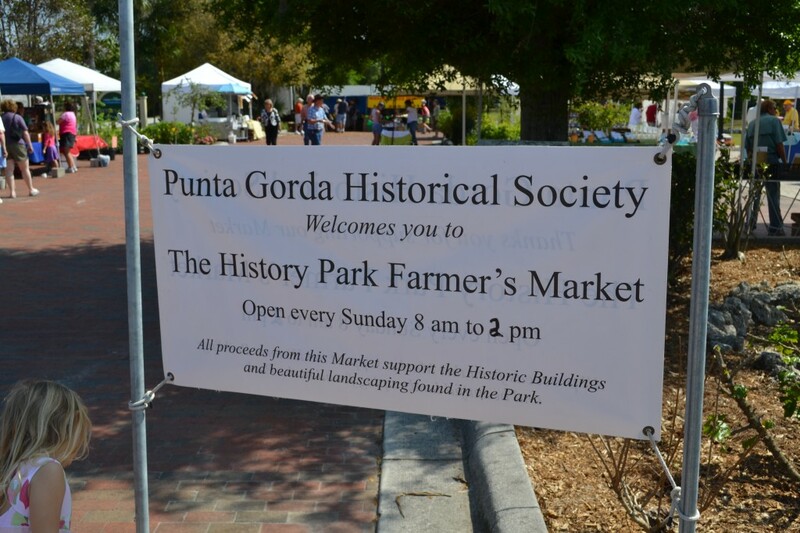 My favorite local market is the Punta Gorda History Park Farmer’s Market, which is held every Sunday from 8-2. It just a few blocks from my house but whenever I show up at 1:30 (just before closing), the vendors are ready to bargain! 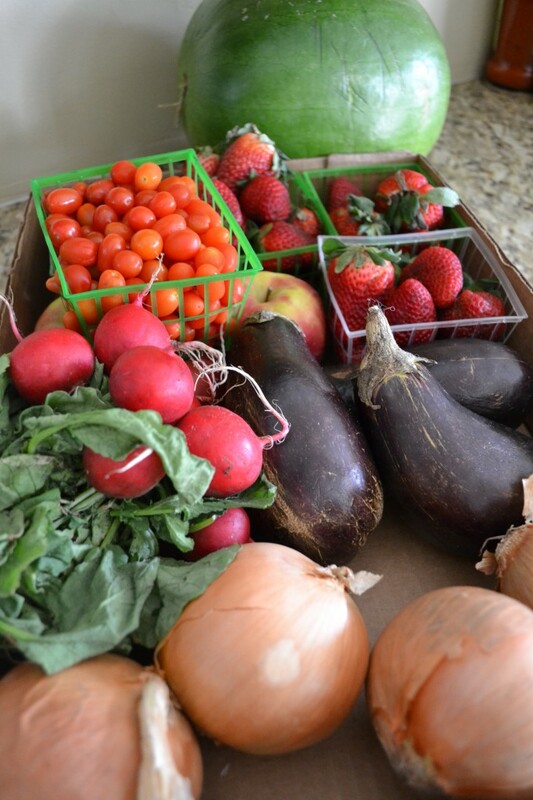 Last Sunday, for instance, I scored this whole pile of fruit and veggies (4 pints of strawberries, 3 eggplants, 4 large sweet onions, a bunch of radishes, a pint of grape tomatoes, a watermelon, & 3 apples) for only $10. These same items would’ve probably cost me well over $25 at the grocery store. Don’t be afraid to ask for a better price. The worst that can happen is they say no, and then you’ve lost absolutely nothing. Finally, if there are multiple vendors, be sure to shop around and find out which ones are willing to bargain before you buy. Similarly, roadside produce stands can have some amazing deals on fresh locally grown produce. If you see one, stop for a minute. You never know what you might find! This takes a little more effort but it can save you a lot of money on produce. 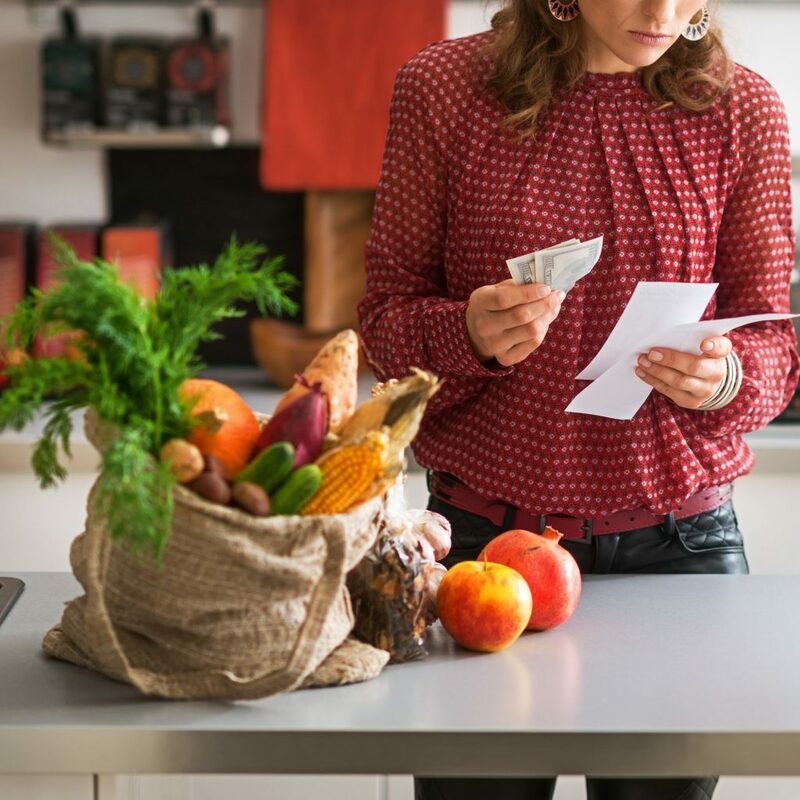 Go through all the grocery sale flyers each week to find the best prices, then bring them with you to a Walmart Supercenter or other store that matches prices. Load up on all the cheapest groceries, than do the rest of your shopping at your regular store. Okay, so produce coupons are rare, but they are out there. Packaged products like Fresh Express Salad mixes go on sale quite often and can be matched with coupons for some great deals. 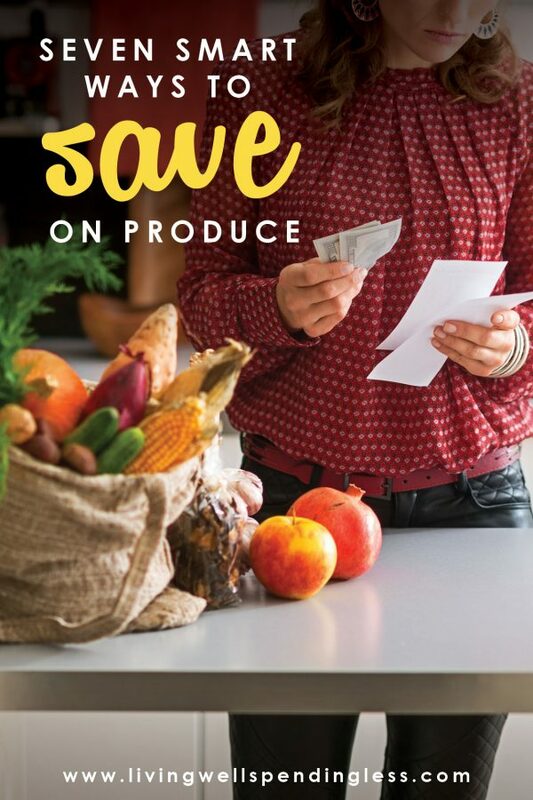 Target occasionally puts out a $1 off fresh produce coupon (great if you live near a SuperTarget or store that accepts Target as a competitor) and most grocery stores have Baby Clubs or other signups that often mail out coupons for fresh produce, meat, and other store items. While fresh produce coupons can be hard to find, coupons for frozen vegetables are much more common and easy to match up with store sales. It is a good rule of thumb to stock up on frozen vegetables whenever you can find them on sale. 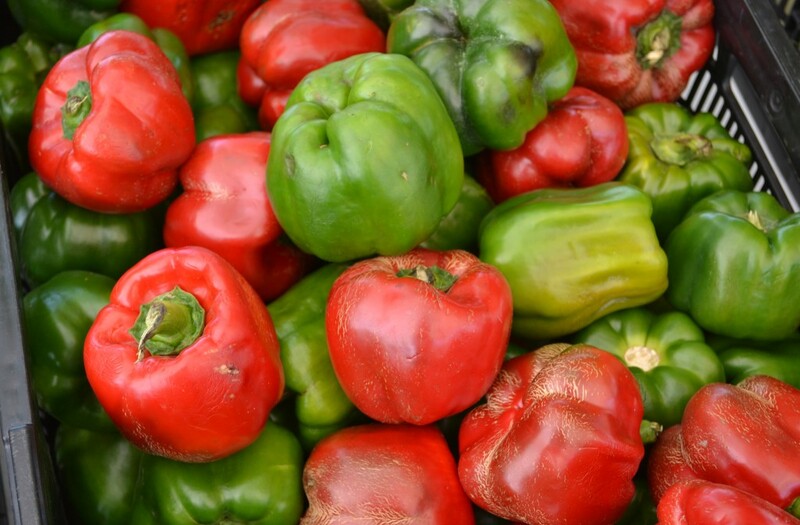 They are great in recipes, contain just as many nutrients as fresh veggies, and can sustain you through weeks where buying a lot of fresh produce just isn’t in the budget. I am by no means an expert on gardening, so I was hesitant to even add this one to this list. In fact, I probably have the brownest thumb of anyone I know, and my own gardening attempts have been, for the most part, and abject failure. But I do know that even if you live in an apartment or don’t want to put in the effort of a larger garden, you can grow herbs and small vegetables in a pot garden. Another option is to join a local farm co-op. My family has been a member of Worden Farm for the past two seasons. 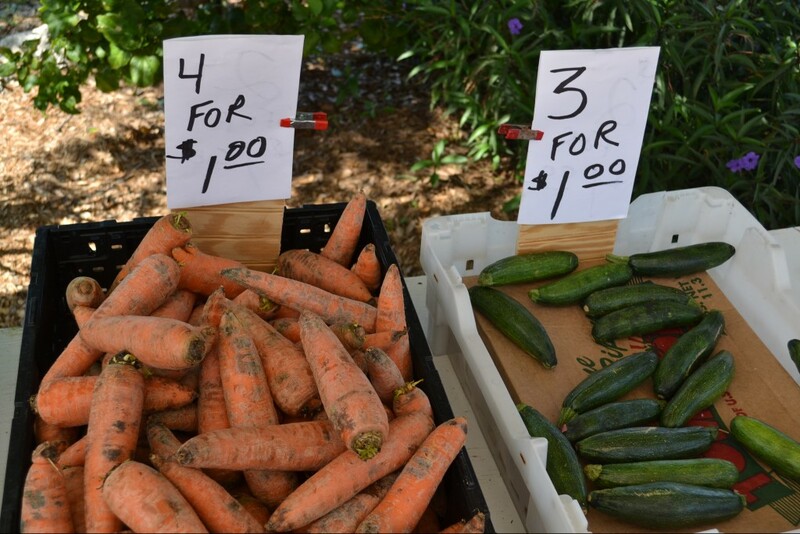 For $30 a week, we get a huge selection of fresh, locally grown, organic vegetables. We’ve found that not only does it help us save money on produce, but we buy far fewer regular groceries during farm season, which saves us money as well. If you are lucky enough to live in an area with an ALDI store, this is a great place to score on cheap produce! Other areas will sometimes have discount produce stores or discount grocery stores–keep your eye out and you never know what you might find! Growing your own food is not as hard or time-consuming or expensive as you might think. There is lots of info out there on how to grow your own vegetables and fruit, even if you just have a balcony or patio as Ruth says. You can fit most of your gardening tasks in an hour or two each weekend if you setup automated watering systems, mulch heavily against weeds and get some help from your kids (my daughter loves to help and even now has her own small veggie garden planter box). And there are lots of ways to save money with second-hand tools, recycled containers and other household items – no need to buy expensive tools, containers, grow lights and soil. You can even save your seeds from year to year so you don’t have to buy them each year. I have also used CSA with local farmers and gotten fresh produce and more in Silverdale WA one of the farmers has chickens,eggs also. CSA are everywhere you pick package you want like for 2 or 4 and what you want included and prepay and than pick up your items. I have also used Bountiful Baskets it more than just produce and they are in so many states and cities you pick up every two week they pick up and deliver it to the sites you can earn more items if you help offload truck or help put items in the clients baskets you bring your proof of your order printout or on devise there is sometimes oils,breads other things you can add also the produce is so fresh dirt is still on it and it lasts unlike the stuff in the stores you can choose organic or regular also. Is this blog still active? It seems there are very few posts compared to past years… And the past year it seems the posts are mainly repeats from previous years. Just curious! It was a lovely blog when it was more active. Just wanted to point out that Wal-Mart no longer does price matches, at least in my area. They stopped a couple of years ago. And as for coupons, no store in my area double anymore either. Bummer. I feed my family of five on <$200/month this way! What if you buy organic? We’ve compared prices at various stores and found that MOM’s grocery store has the lowest prices and it’s all organic produce. Farmer’s Markets, while they are local, are often not selling organic, which is very important for my family. Hubby and I have been buying organic since we got married 12 and a half years ago (before it was popular!) and it’s even more important now with little ones in the house. We eat a LOT of fruits and vegetables, and organic is expensive, so we do garden as well. We’ve had great success with garlic especially, and we save a lot of money on it because it lasts all year since it stores so well. We also grow lots of tomatoes, carrots, beets, radishes, and tons of lettuce because we like to have salad every day for lunch. And yes, I said “for lunch”. Growing it ourselves definitely saves money and allows us to eat organic. These are great tips! And way to go for finding fresh strawberries. This time of year we only see them from Mexico or California in the grocery stores. I shop weekly at a local produce shop and buy a bag of spinach and mini carrots every time. Both these items, same brand, selling at Walmart for $1 more! Yikes! Generally I find I save money buying at produce stores instead of chain grocery stores, and the produce is usually fresher. As a single, I do tend to favor some frozen fruits and vegetables so they won’t go bad before I eat them. I live in a high cost of living area so farmer’s markets tend to be trendy and expensive because these people renting space pay huge $$ and they usually have to pay for 10 or 15 dates in advance. There’s a big flea market near where I live, cost $2 to go in, but there are farmers selling produce for good prices there. These are all great tips. 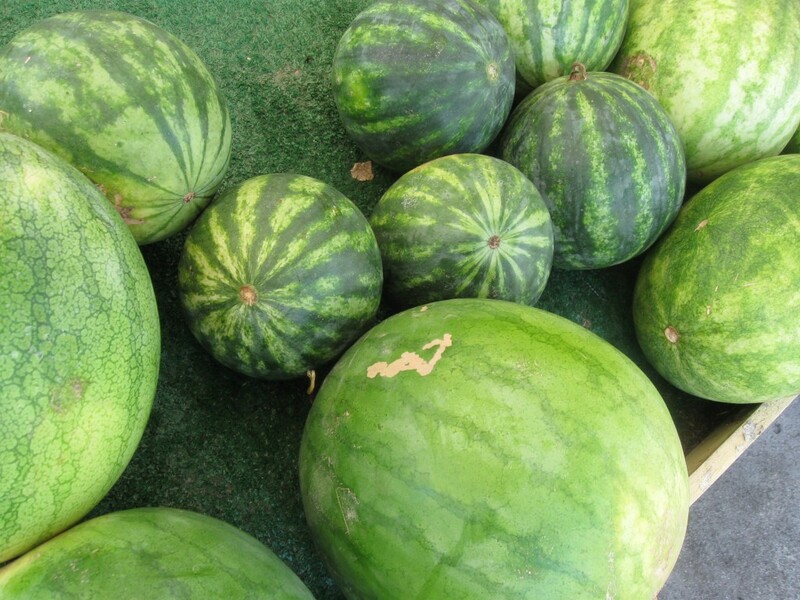 In addition to shopping in season and with farmer’s markets, you can also check the sales at your nearby stores. Even regular grocery stores often have organic produce at a lower price than specialty natural shops or Whole Foods. Also, in some areas farmer’s markets can be really overpriced. I experienced this recently while visiting San Diego, so be sure to know what a “good” price is before you go! I definitely do the buy on sale. That’s how I score such great deals. In fact, I try to buy along the edges of the store, the fresh, less processed items, unless I have coupons. I’ve tried Aldi, but not a fan actually. Must be hit or miss depending on the area, although I’ve heard many people rave about it. And walmart in our area has stopped price matching, unfortunately, though some other stores in our area, like Publix, will accept competitors coupons. So that helps. Check out ibotta and walmart savings catcher to save even more! And Target app with cartwheel deals! Life saver.